Jumping, a photo by PhylB on Flickr. 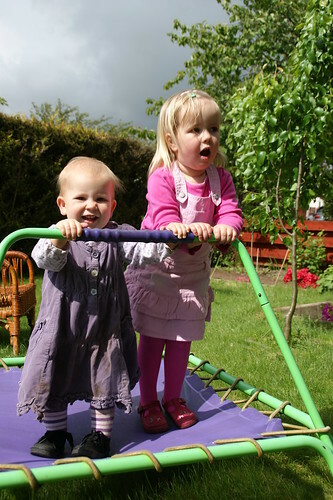 I like jumping on the trampoline with my big sister. It's great fun!